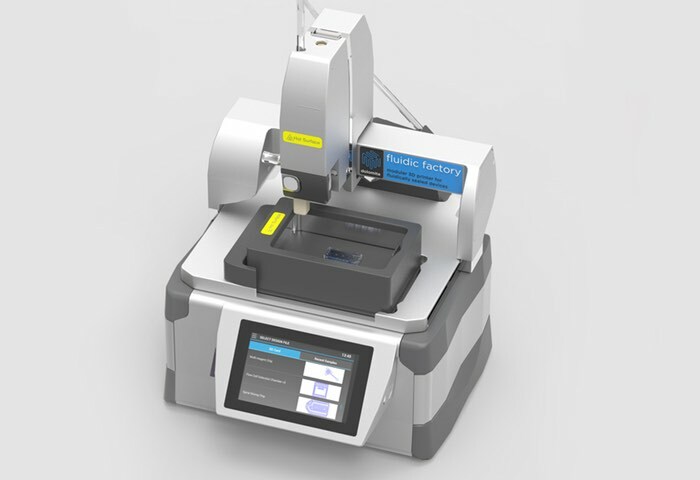 Developers and makers have ever wanted to create their own microfluidic chips, manifolds, connectors and more or have the ability to select ready-made components from a design library and create them in their office from as little as $1 per chip. Maybe interested in a new desktop device called the Fluidic Factory 3D Printer which has been created by Dolomite. Design can also be created using a wide variety of CAD software. Along with the ability to create leak-free flow paths (as the hardware re-melts contact points ensuring sealing) the Fluidic Factory presents several more advantages inherent to 3D printing. These include the flexibility of creating original designs from any CAD software or selecting them from a wide range of devices in the design library. These can also have a greater geometrical freedom than standard microfluidic devices, including three-dimensional mixers, non-rectangular chips, unique channel geometries, and features not possible using etching, embossing, moulding or machining. For more information on the new Fluidic Factory jump over to the Dolomite website for details and full specifications.